What it does & how it works: The Purism Librem 15 is a Free/Libre Software Laptop That Respects Your Essential Freedoms. It does this by only using free/libre software for the kernel, OS, and all software; and by installing privacy respecting features by default. My background is disruptive technologies that usually is rooted in free and open source advocacy within the business and development. What inspired me to pursue developing a laptop that respects users essential freedoms, was that I have year-after-year looked for a high-quality laptop that does what the Librem does. I have never been satisfied with the buy hardware, strip it and install GNU/Linux. The hardware usually is sub-par, or a few versions behind to work properly with GNU/Linux. I decided to start a Free Software Foundation equivalent company for hardware. There are several reasons I chose Crowd Supply. First, they work hand-in-hand with creators. Second, Crowd Supply is philosophically well aligned with Purism. You can see this in the projects they launch, but also in how they run the company. For example, one of the co-founders of Crowd Supply has been working directly with Dr. Richard M Stallman (RMS) and the Free Software Foundation (FSF) to make the Crowd Supply website compliant with free/libre web browsers, specifically around the payment and checkout experience. 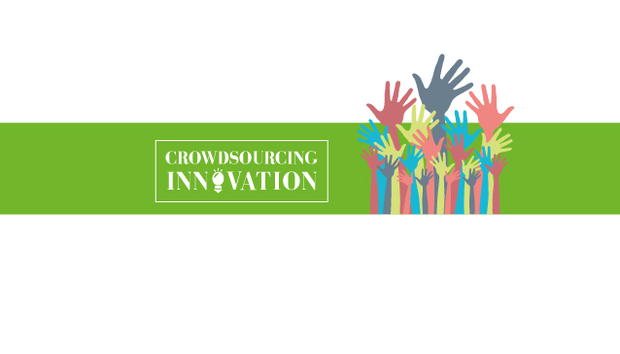 Crowd Supply is the first crowdfunding platform to do this. Finally, I appreciate Crowd Supply's focus on a smooth e-commerce experience, everything from how the Librem can be customized during the checkout process to the fact that sales will continue uninterrupted after the campaign formally concludes. These small efficiencies really add up and help avoid "death by a thousand paper cuts" that is so common in hardware manufacturing. Yes, I believe so. Primarily because people get to vote with their wallet to see if an innovation should be developed, rather than pitching risk to investors, where a small subset of what crowdfunding has produced would have made it to market. Secondarily, it allows non-accredited investors to financially back (albeit not technically funding) what they would like to see succeed. Reactions on Crowdsupply so far? Crowd Supply has been wonderful thus far, prompt, professional, and helpful. They have connected us with professionals in the areas of our business that we needed most to launch a successful campaign. Crowd Supply clearly wants to have each campaign be a success for the creators. To properly set expectations, since it's a long-term relationship you want to build with your backers. What benefits does running a laptop with no proprietary software bring? What it all boils down to is your freedom on your primary computing device. The reality is that unless every aspect of your kernel, operating system, and software applications are free/libre and open source, there is no way to know that your computer is truly working in your best interest. What was your reaction to the NSA leaks? Being a system administrator for many years, I was in the camp of “Yes it is technically possible to scan and store every communication, but why would anybody? What would be the motive? Why would the US government do something likely unconstitutional?” So I was not surprised technically, but I was surprised ethically. A lot of stories in the press are comparing the Librem to the Novena Open Source Laptop, but the Librem is a high-end product. Are you aiming at a similar hobbyist demographic but as a high-powered alternative? There may be overlap, but that is not our target. The Novena is a wonderfully crafted motherboard by Bunnie Huang, it is targeted for maker types. We are aiming for a complete high-end laptop that has wide appeal, where average users could use and understand that their privacy, security, and freedom are respected with this laptop. Do you think Linux & Open Software generally is becoming popular within business? I do. Simply by looking back 10 years, or 5 years, where there is enough data to see the trend lines accurately, you can see business are embracing GNU/Linux more and more, but heavily on the servers or one-step removed from the user areas. Where we need more improvement for businesses is closer to the user, such as laptops, tablets, and phones. Privacy, security, control, and the ability to solve issues by seeing the source are powerful for business when they utilize free/libre and open source software. Interoperability is superior using standards and free software offers the ultimate in standards and compliance. We plan on delivering our 15” model first, then produce a 13” model, then move onto those much needed areas of tablets, phones, and freeing component hardware firmware.